When it comes to men’s clothing, nothing is more impressive than the suit. Although it has varied slightly over time, the suit has remained the pinnacle of style for centuries. Today, it continues to lend gents all over the world a sense of sophistication that other garments cannot. 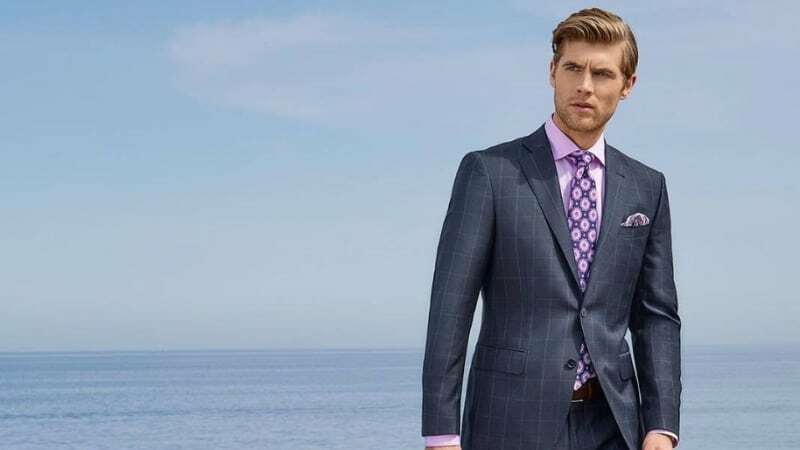 Of course, not all suits are created equal and purchasing one that’ll look great on you requires knowledge of shape, fit and fabric. Luckily, we’re here to help with a handy cheat sheet. 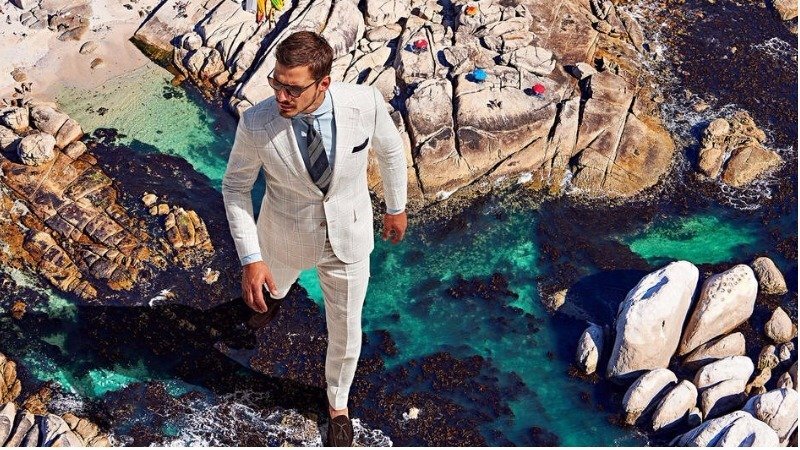 So, if you’re after a suit that sits just right look no further than these best suit brands for men. Established in 1856, Burberry quickly became famous for its outdoor attire, classic trenchcoat, and signature plaid patterning. 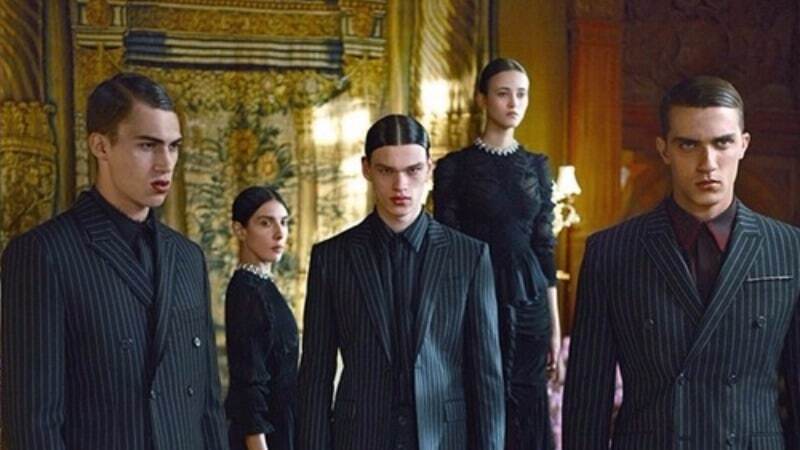 Fast-forward just over a century and this British luxury fashion house introduced suits into their empire. Blending old and new worlds, Burberry’s suits take inspiration from the classics when it comes to fabrics and techniques while incorporating modern tailoring and silhouettes. In the mid-1980’s, two aspiring Italian designers founded what would later become one of the country’s most recognisable luxury fashion houses. Seven years later, Dolce and Gabbana presented their first menswear collection and have been creating lust-worthy suits ever since. Whether you’re seeking bold jacquard prints, embroidered silk, or a dark suit with a razor-sharp silhouette, Dolce and Gabbana are masters of tailoring. 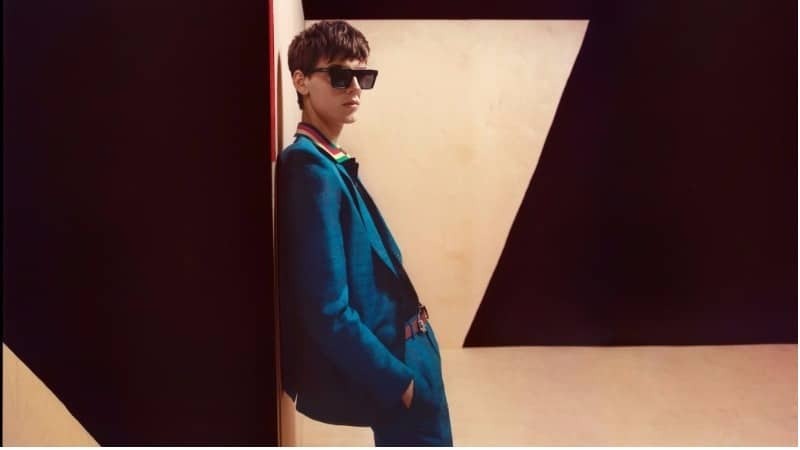 If you’re seeking a suit in bold colours or a jacquard print, Gucci is your go to. Looking for a suit jacket featuring bright piping, embroidery, or unique details? This genius design house has that too. 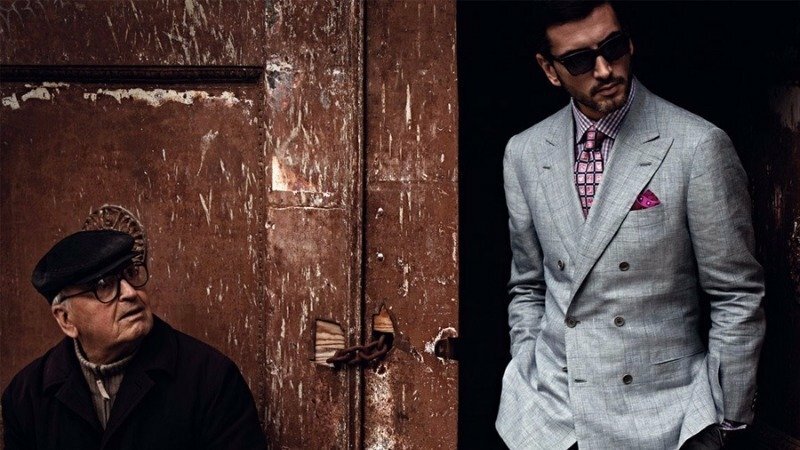 Eclectic, extravagant, and always at the forefront of high fashion, the world’s biggest-selling Italian brand are masters when it comes to tailoring. If, however, you’re after something a little more traditional, they also design suits in sleek, classic colours and cuts. For gentlemen seeking a slim-cut suit with a well-fitted waist and a thin lapelled jacket, make your way to Saint Laurent. This iconic French brand was founded by the late creative genius Yves Saint Laurent back in the 60’s. Since then, they have provided men with nothing less than expert tailoring and sleek, luxury garments. While Saint Laurent suits traditionally stick to a lean silhouette, the label isn’t afraid to experiment with innovative fabrics and bold prints. Born in one of the fashion capitals- Paris, Givenchy brings all the qualities of classic French elegance to the world of men’s tailoring. 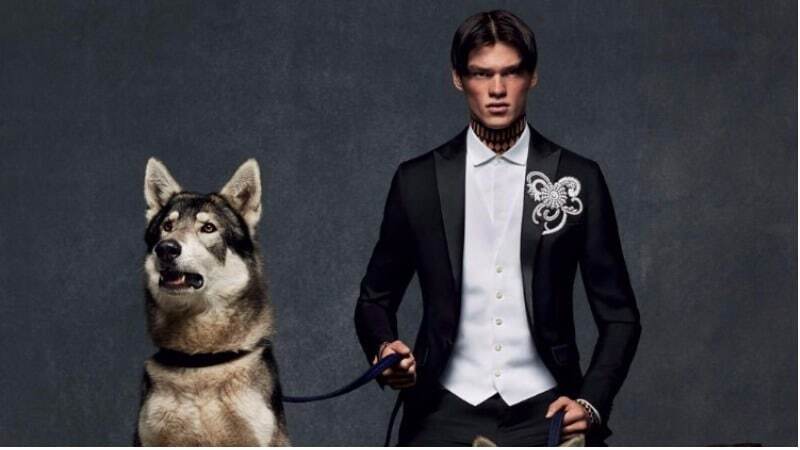 Providing sleek, structured, and sophisticated suits, Givenchy is never one to shy away from the avant-garde. Whether you want a classic coloured suit-jacket or a tuxedo printed with stars, a Givenchy suit will always make a statement. Across the world, Prada is synonymous with luxury. While the label is undoubtedly avant-garde and boundary-pushing, their suits still retain a sense of understated, classic elegance. 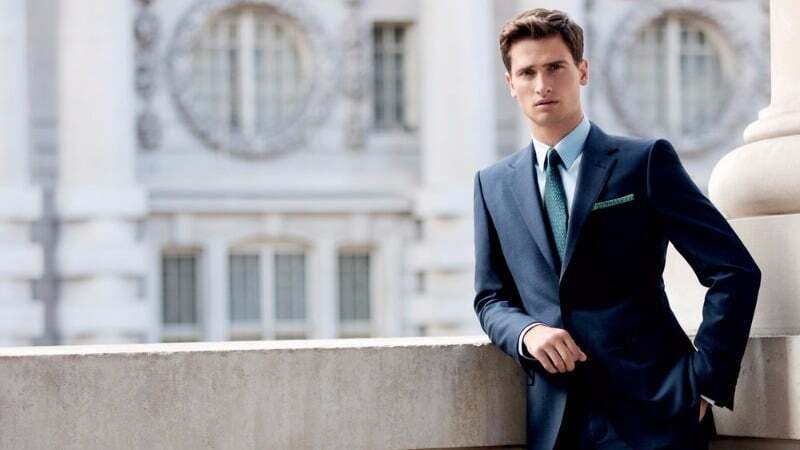 Masters of tailoring, Prada ensures their suits are made to the highest of standards. To own, or simply try on one of these pieces, is to understand why the brand has been a favourite of the royal family, and the world, for over a century. For a timeless suit that epitomises elegance, Valentino offers personal made to measure tailoring. Create the perfect suit for any occasion with an armoury of sumptuous fabrics at your disposal. For a truly personalised suit that may be passed on to future generations, have your name hand-embroidered inside your suit pocket or your initials stitched onto the left side of your shirt. 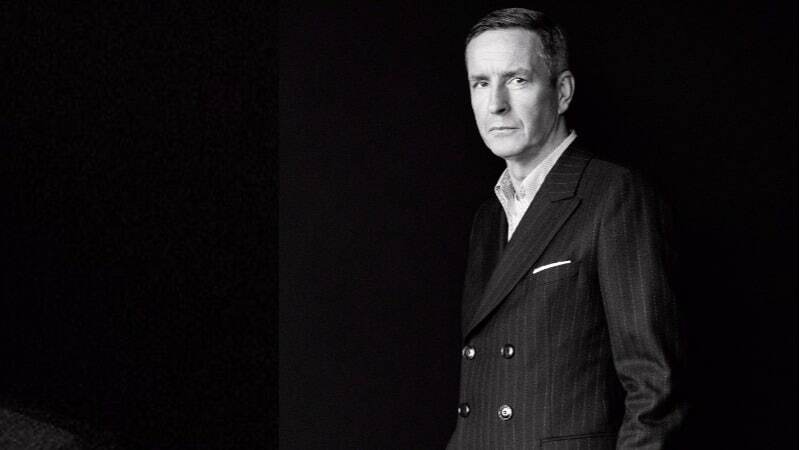 Belgian designer, Dries Van Noten, is the third generation of his family to enter the world of tailoring. Boasting luxurious fabrics and a masterful blending of elegance and avant-garde, a suit from this designer is one of a kind. This label stands out for its ability to play with tweed and patterns, as well as master the traditional suave colours of inky black and polished navy. Sometimes, it takes a woman to know what’s best for a man. 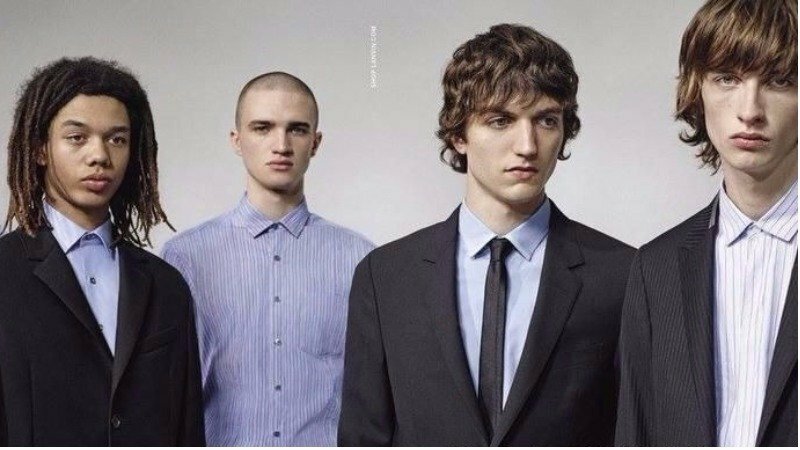 The minimalist fashion house, Jil Sander, which was founded by a talented German woman of the same name in the late 1960’s, expertly demonstrates this fact. Focusing on neat, sleek cuts and classic colours, the aesthetic of this brand is subtle yet sophisticated. For men seeking a no-nonsense suit, which showcases minimalist, masculine tailoring, Jil Sanders is the designer you are dreaming of. 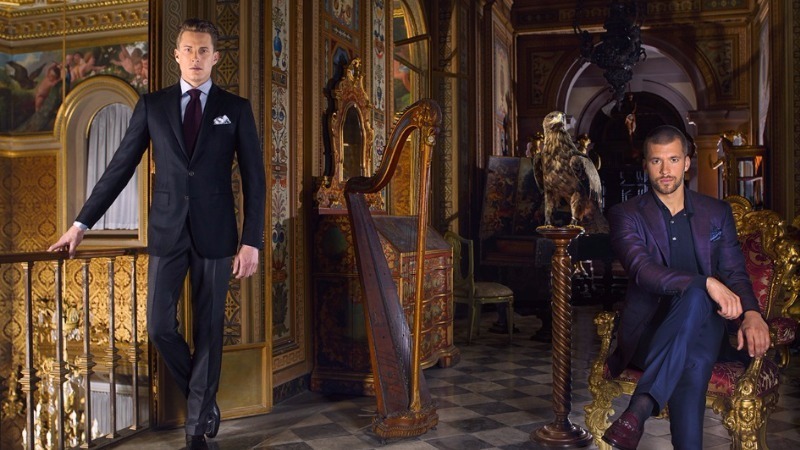 Leading Italian suit designer, Boglioli offers expertly crafted lightweight suits that boast old-world charm and allure. Offering luxurious silk-wool blends, deconstructed jackets, standout corduroy and their signature garment dyed garments, their suits are unique and sophisticated. 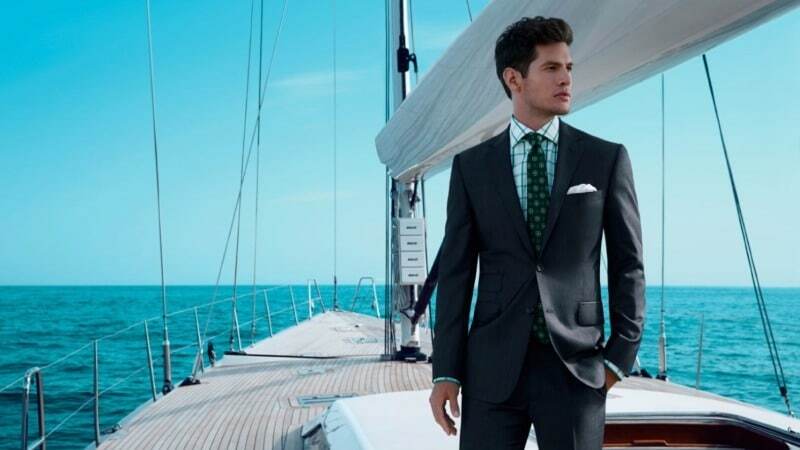 For expertly crafted suits made of the finest fabrics, Ermenegildo Zegna is a leader in its field. This Italian luxury brand keeps their suit colours classic and sophisticated, allowing their high-quality fabric to take centre stage. With headquarters in the leading fashion capital of Milan, the brand grows its famous wool down in their Australian mils. Renowned and respected by menswear connoisseurs across the world, this luxury wool is also used by brands such as Brioni, Tom Ford and more. Created by the powerhouse duo of Toronto-born twins, Dan and Dean Caten, Dsquared2 blends edgy Canadian iconography with world-class Italian tailoring. These made-in-Italy suits masterfully contrast laidback and extravagant style in a new, distinctive form of luxury. With their current collection taking inspiration from the world’s leading cities including Paris, London and Tokyo, these dapper suits are at the forefront of global fashion. 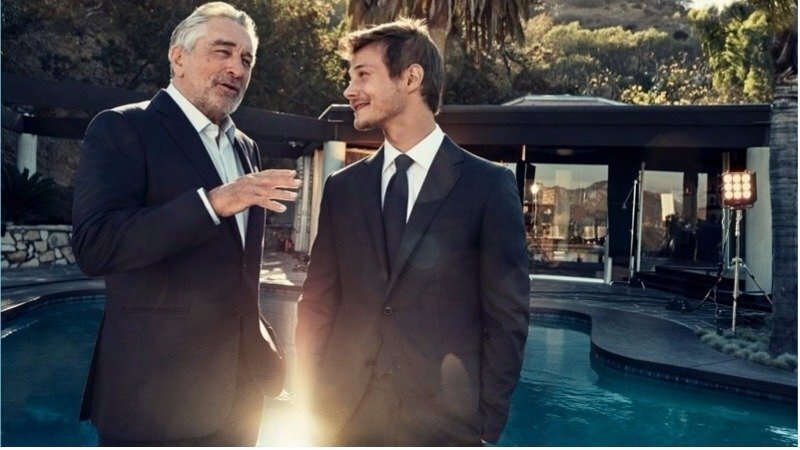 With an atelier located in an 18th-century Italian villa, it is no wonder that Bottega Veneta’s suits are timeless and inherently luxurious. Only the highest quality materials make it to the cutting table when it comes to their clothing, resulting in lasting, stunning suits. While they are masters of the classics, this label is also known to inject modern, playful colours into their designs. Famous for its bold use of print and colour, Etro is a luxury Italian label that has mastered the art of menswear. Sharp silhouettes meet stunning materials, including wool, silk and cashmere in these covetable garments. 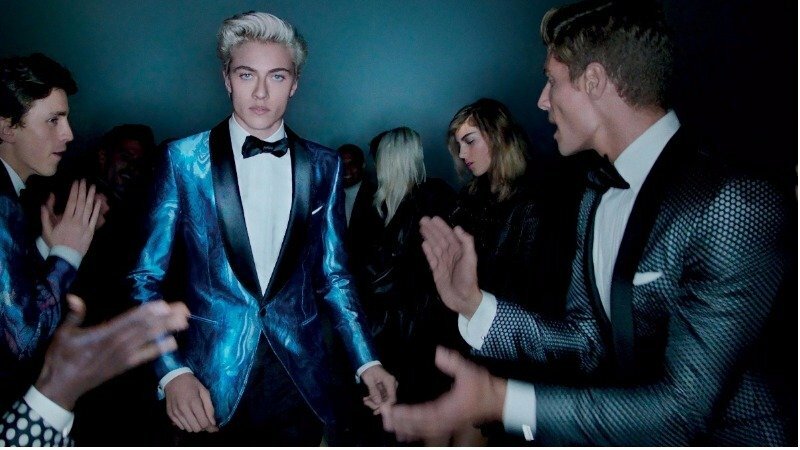 In addition to this, sleek jackets are often lined with bold prints, providing a hidden, unique edge to your suit. Available in pinstripes, checks, prince of wales patterns or monochrome, these timeless pieces are an invaluable addition to any wardrobe. It appears that when it comes to mysterious suit-wearing spies, James Bond is no longer the only man in the game. 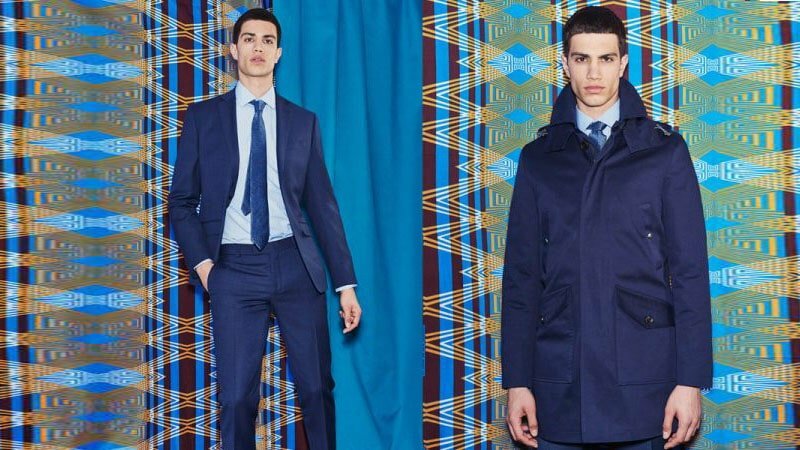 In conjunction with the release of ‘Kingsman: Secret Service’, British e-tailer Mr Porter teamed up with the film’s costume designer to create a bespoke ‘Kingsman’ fashion label. This genius team took inspiration from the movie, which sees Kingsman special agents operate under the disguise of Savile Row tailors. The collection, however, is not simply movie memorabilia. Each of the double-breasted suits is sleek and expertly crafted, with a structured, typically British silhouette. Although this label that was established in 2000 may be new on the scene, their impeccable designs and affordable prices place it in league with the best. In their offering of refined, sharp suits, Suitsupply has something for every man’s tastes. Choose between pure wool, alpaca, cashmere, silk or more, before selecting from a wide range of patterns or classic colours. Does a shawl collar suit you better than a notch or peak lapel? Don’t worry, they offer all three. With this versatility and choice, these suits are in high demand. In 1911, 16-year-old Luigi Bianchi left home to follow in the footsteps of his father and grandfather and study the craft of tailoring. Over a century onwards and the luxury label that resulted from his hours of hard work is the epitome of casually cool men’s suits. L.B.M 1911 suits consequently exude a nonchalance that comes only with expert craftsmanship. These suits are characterised by their reinterpretation of 70’s style and colour palettes with modern cuts and innovative textiles. Nicknamed the ‘King of Cashmere’, Brunello Cucinelli is a man of luxury and refined taste. As such, this sophisticated aesthetic is evident in the high-quality Italian-made suits created for his namesake brand. 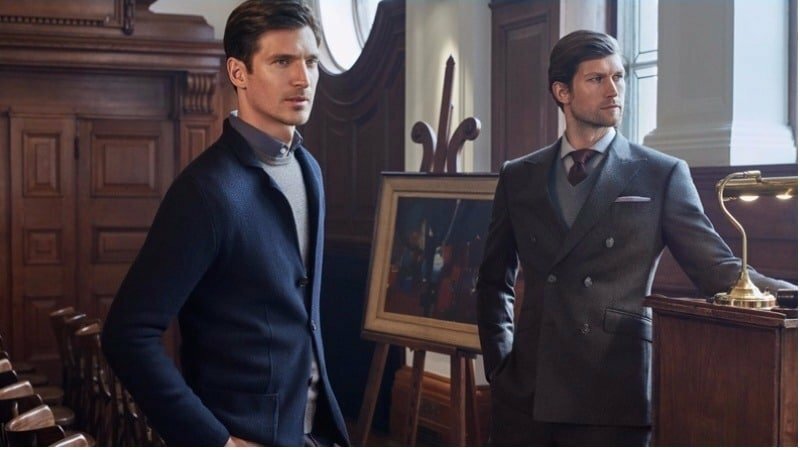 In addition to looking suave in a classic coloured Brunello Cucinelli suit, you can also feel great knowing that this ethical brand donates 20% of its profits to charity. For a classic suit with a fun, eclectic twist, Britain’s Paul Smith brings a quirky edge to men’s tailoring. Taking inspiration from everything from high art to everyday life, these designs offer a fresh take on the traditional. As the former creative director of Gucci and Yves Saint Laurent, Tom Ford has perfected the art of creating luxury clothing. Tom Ford is a master when it comes to creating high-quality fashion-forward suits. His slim cut tuxedos and suits and decadent dinner jackets are available in a range of eye-catching fabrics and styles, are both sophisticated and sleek. From velvet to satin, leopard print to shining swirls, any Tom Ford design is sure to make a statement. 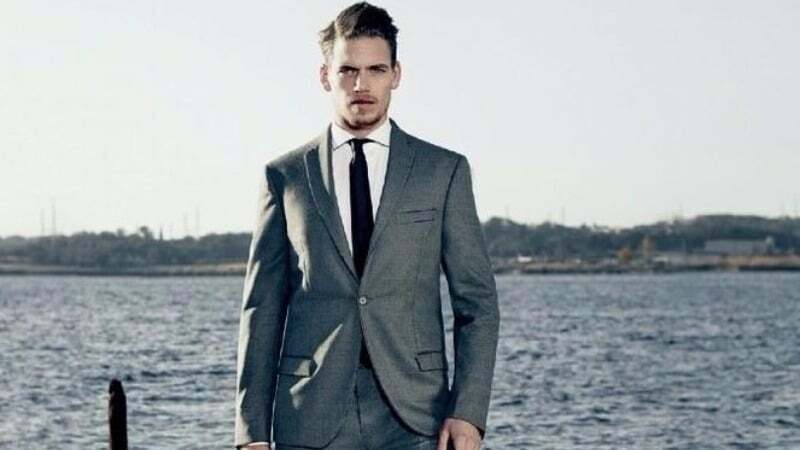 For a sleek suit that exudes masculinity and elegance, Hugo Boss is a favourite suit brand for men across the globe. Available in classic, no-nonsense colours, the luxury label offers suits for every occasion. For the office, select a comfortable and sophisticated regular fit. If you’re seeking a contemporary suit that fits sculpts to the contours of the body, then the slim fit is for you. Finally, extra slim cuts are available for a razor-sharp evening ensemble. What began as a leading Swedish denim brand has since evolved into one of the world’s best suit companies. Specialising in modern, innovative colours and shapes, Acne Studio’s aesthetic is always on trend. With a wide range of styles on offer to suit a variety of silhouettes, this brand has a loyal following of clients internationally. Established in 1967, Ralph Lauren is a luxury brand that has proved itself in the world of high fashion. 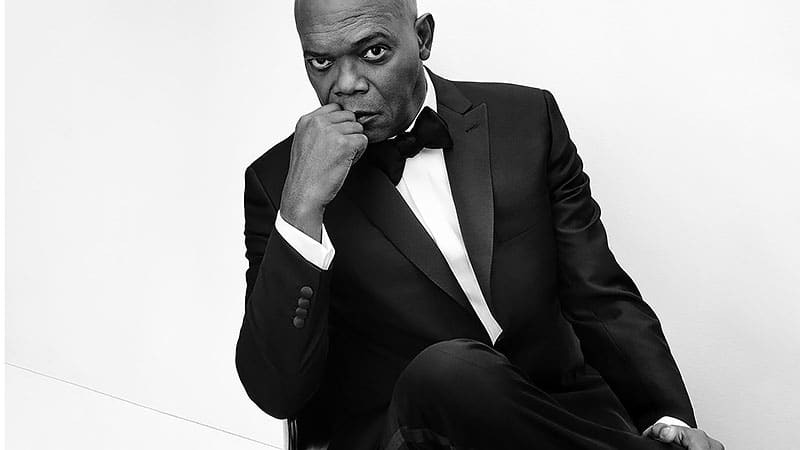 Accordingly, its Purple Label suits are examples of masterful craftsmanship and tailoring. Sourcing only the finest materials and fabrics, these suits are available as ready-to-wear or in personalised made-to-measure styles. A Lanvin suit may be instantly recognised by its minimalist, form-fitting design that draws attention to the masculine physique of its wearer. As one of the leading, original French fashion houses, Lanvin is a pioneer of design. Consequently, their menswear is created from the best materials available internationally. For men seeking subtle, luxurious details and dark, classic shades, make a trip to these stand-out tailors. 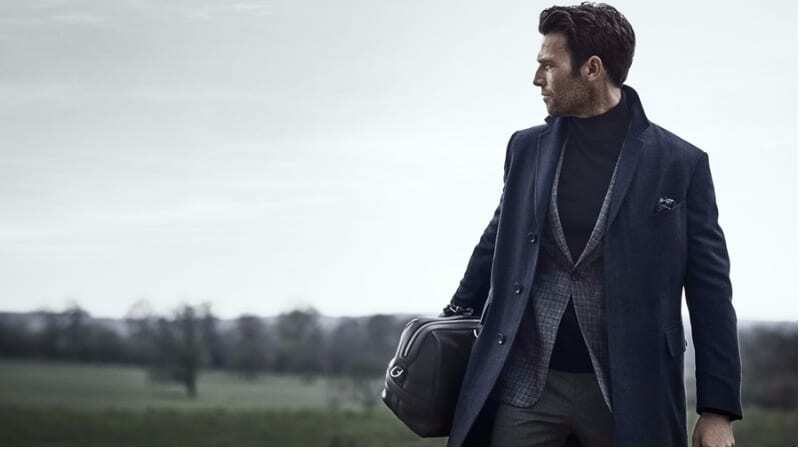 When it comes to masterful cuts, high-quality fabrics and on-trend design, Reiss stands out from the crowd. With a focus on ensuring each client’s needs are met, they offer ready-to-wear suits in modern, classic, or slim fits featuring traditional horn buttons. 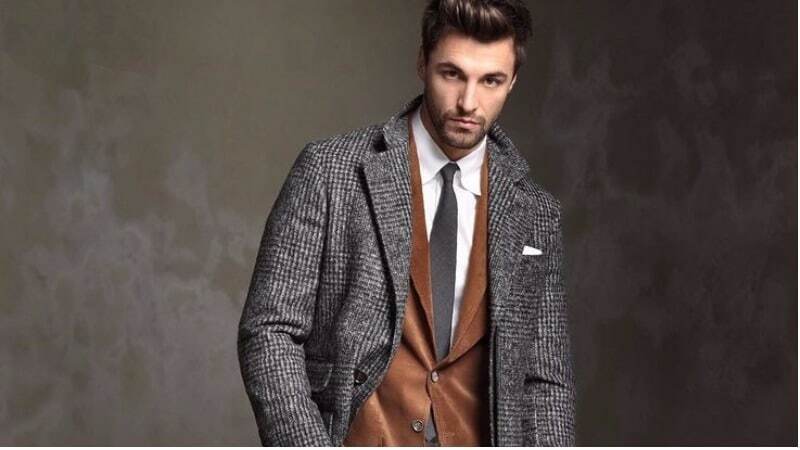 Alternatively, they also offer personalised tailoring services and fully customisable suits. 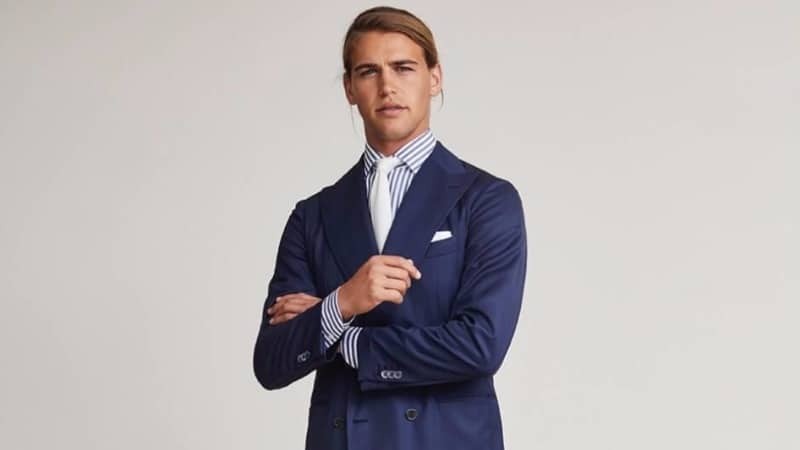 This ability to fully customise your suit from the cut and the lining down to the stitching and the buttons have made Reiss a favourite of celebrities and royals alike. 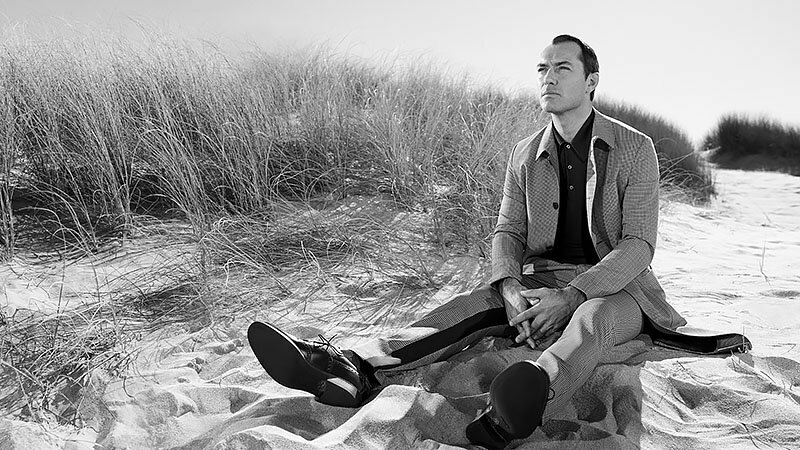 Established in 2001, Thom Browne is an American led brand that creates contemporary, stylish suits. Functionality meets impeccable form in these designs. Well-cut and drawing from traditional techniques, they typically feature cropped hems, making them perfect for both the office and an elegant night out. 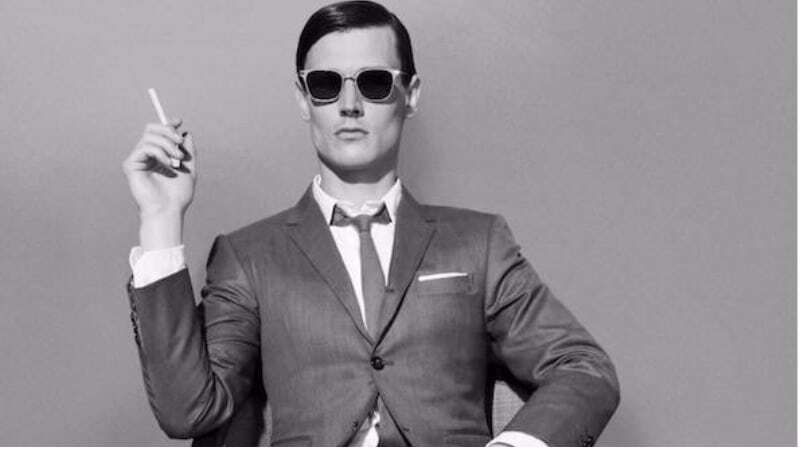 For a masculine, superbly tailored suit, Dunhill is Britain’s answer to luxury bespoke menswear. What sets bespoke suits apart from ready-to-wear or made-to-measure equivalents is that the tailor drafts a new pattern for each individual client. With the option to purchase a suit made exclusively to fit you, this brand caters to customer’s personal needs, with exquisite results. 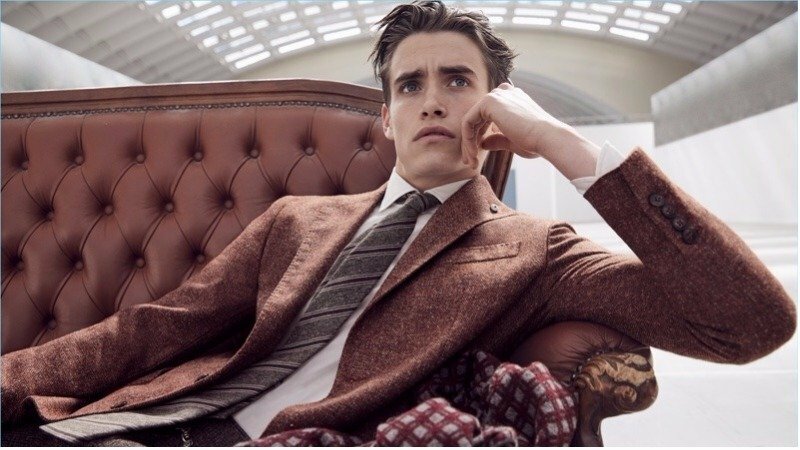 For more than 80 years, Canali has created exceptional suits, which boast the covetable Made in Italy label. Sold in more than 100 countries across the world, these internationally recognized suits are distinctive and handcrafted from the finest materials. For a unique jacket that is made just for you, Canali also offers a bespoke ‘Su Misura’ tailoring service. Having provided suits to 40 out of the 45 American Presidents, as well as the cast of Mad Men and even the Muppet’s own Kermit the Frog, the Brooks Brothers are seasoned suit professionals. Additionally, as the United State’s oldest clothing retailer, they are responsible for introducing the ready-to-wear suit to American men. Experts in tailoring, their designs provide modern twists on historical classics. The old world nostalgia brought about by British suitmaker, Hackett, invariably leads many to believe this brand goes back many generations. In fact, the young company was founded in 1979 and has since then created suits fit for the perfect English gentleman. Available in classic colours, or daring stripes and checks, these suits are ideal for men seeking elegance. Their silhouettes draw on military and sportier cuts making them a unique addition to any man’s wardrobe. In the 18th century, aristocratic gentlemen travelled to Italy to study art and culture. 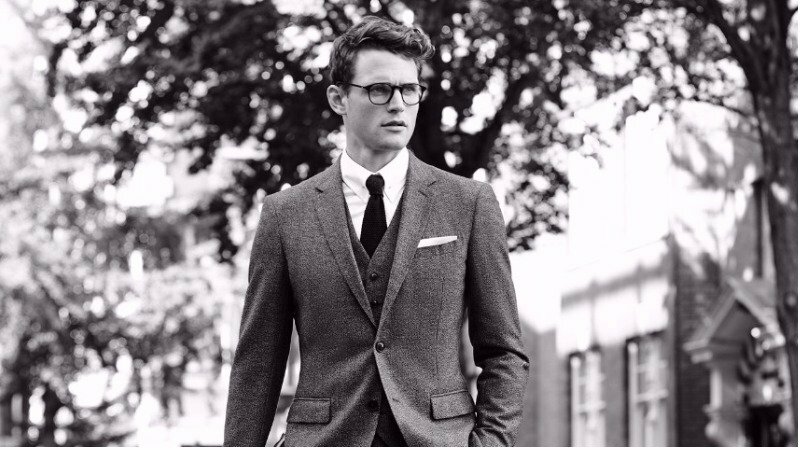 During this time, Kiton’s master craftsmen created made-to-measure suits, which are as coveted today as they were during that time. Deriving its name from the Ancient Greek ceremonial garment, the ‘chitone’ the brand exemplifies social distinction and impeccable quality. Made to measure suits take approximately 25 hours of labour and feature glossy silk lining stitched perfectly to fit the contours of the wearer. 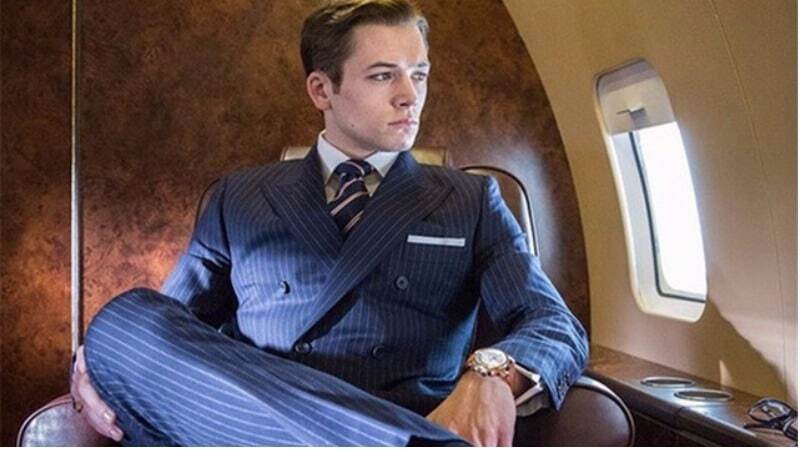 As a result, a Kiton suit is amongst the world’s most expensive. For more than seventy years, Corneliani has provided men with high-end suits that take inspiration from modern architecture and design. These structurally innovative pieces exude elegance and are available is exclusive made-to-measure styles. Perfected over generations, this luxury tailoring service involves 150 steps from start to finish. 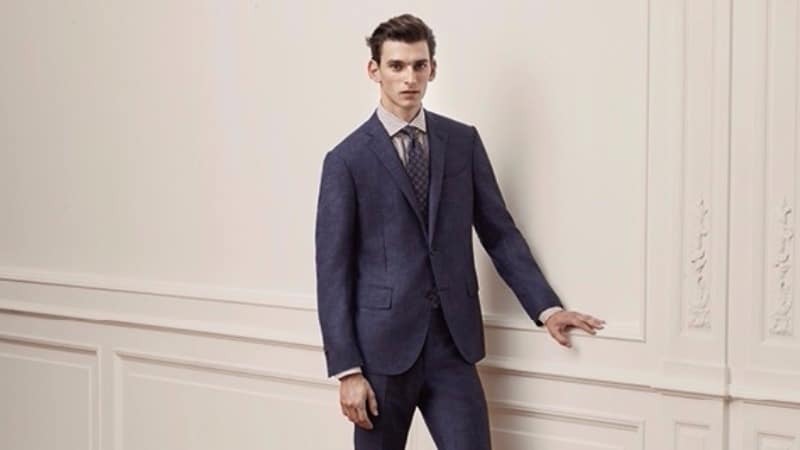 With over 750 different weaves and colours available, Corneliani makes any man’s dream suit a reality. 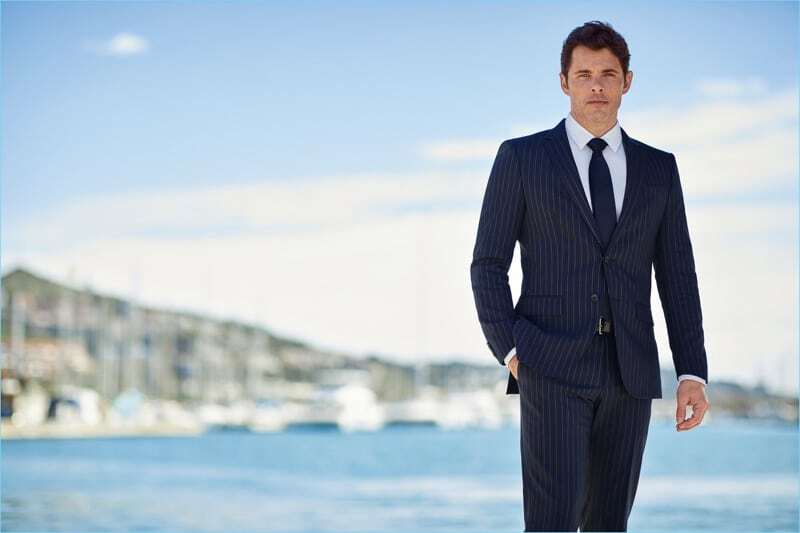 Launched in 2006, Rhodes and Beckett provide stylish ready-to-wear suits for the modern man. 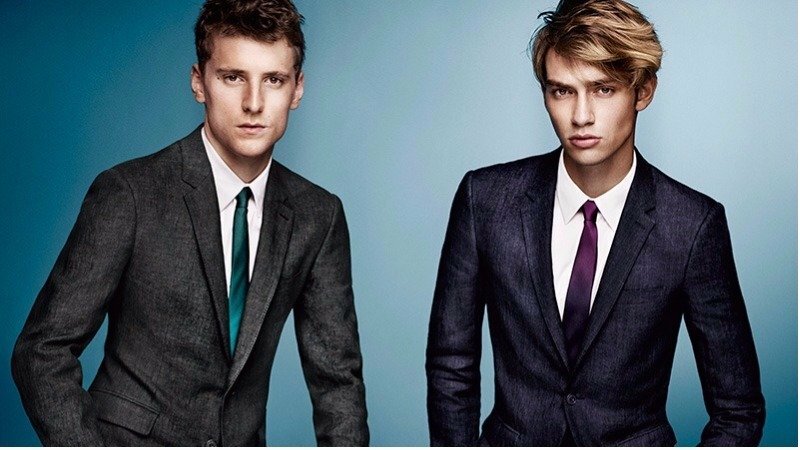 Pair one of their crisp shirts with a precisely cut jacket and jewel-toned tie for a winning suit ensemble. 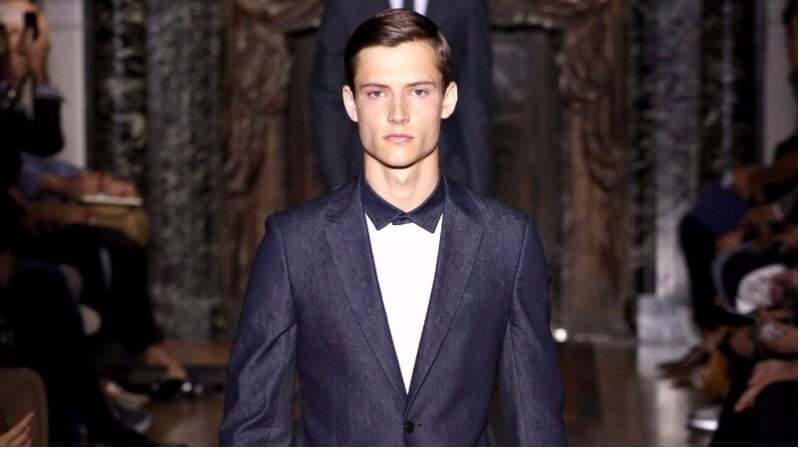 For more formal occasions, classic black tuxes are on offer for gentlemen who strive to look sleek and sharp. 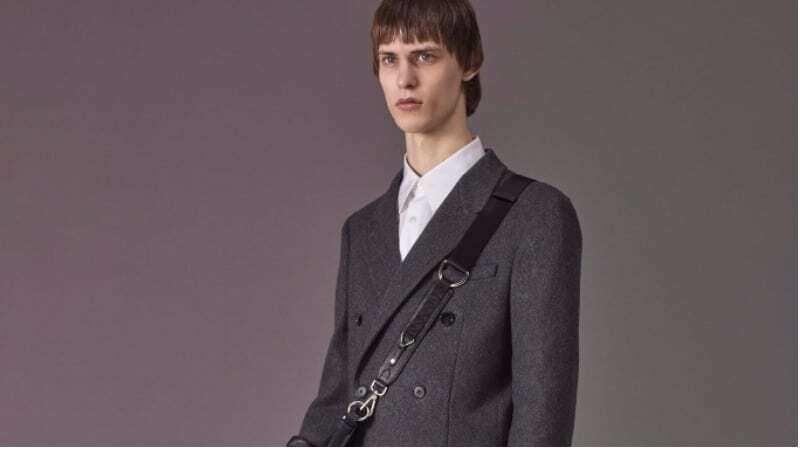 Australian born label P. Johnson has moved with groundbreaking pace to secure its place as a leading menswear brand since its inception in 2008. 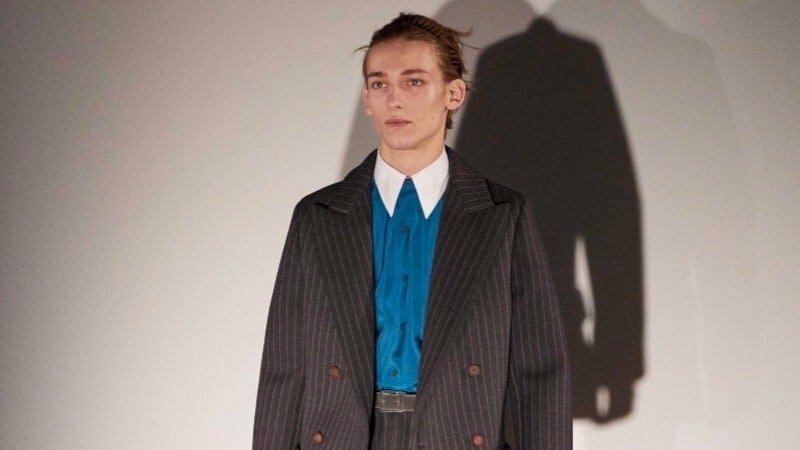 As a result of their tailoring taking place in a Tuscan atelier, the brand draws inspiration from traditional Italian tailoring while focusing on lightness and simplicity. Each suit is luxuriously lightweight and constructed with artisanal methods to ensure it looks sharp while feeling blissfully comfortable. For the modern gentleman seeking sophistication and bespoke service, minus the jaw-dropping price tag, there is Joe Black. This high-end company offers men an ‘espoke’ service, which blends bespoke tailoring with the everyday man’s needs. Fast, affordable, and still highly personal, espoke still involves the selection of colour and style. Following this process and a number of pattern adjustments, these talented tailors will produce your perfect, lightweight suit. 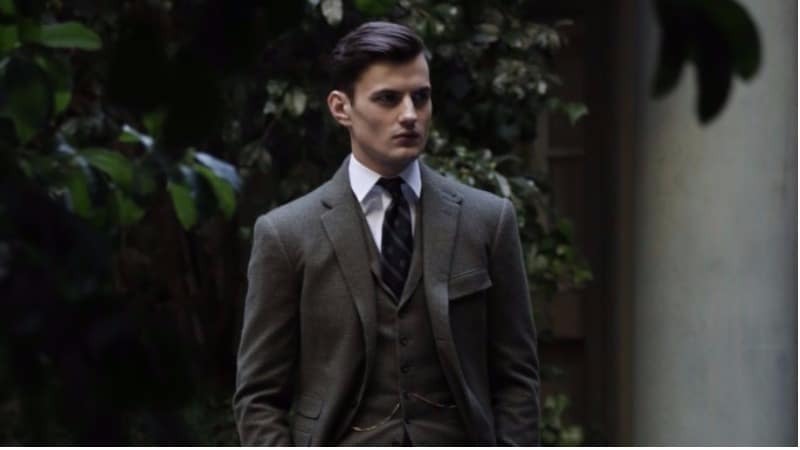 One of the world’s oldest and most internationally renowned men’s tailoring companies is undoubtedly Gieves & Hawkes. Located at No. 1 Savile Row, the label has over 200 years experience creating bespoke, ready to wear and made to measure suits. Although luxurious bespoke suits are on offer to match client’s wishes, a typical Gieves & Hawkes suit pays homage to its military roots. Accordingly, they feature a high armhole and roped shoulder. As the Australian representative of the prestigious International Menswear Group, Henry Bucks knows a thing or two about suits. Specifically catering to the corporate world, their smart suits are a winning addition to any wardrobe. With made-to-measure options that provide endless choices, Henry Bucks’ Italian made garments are lightweight, comfortable and always on trend. 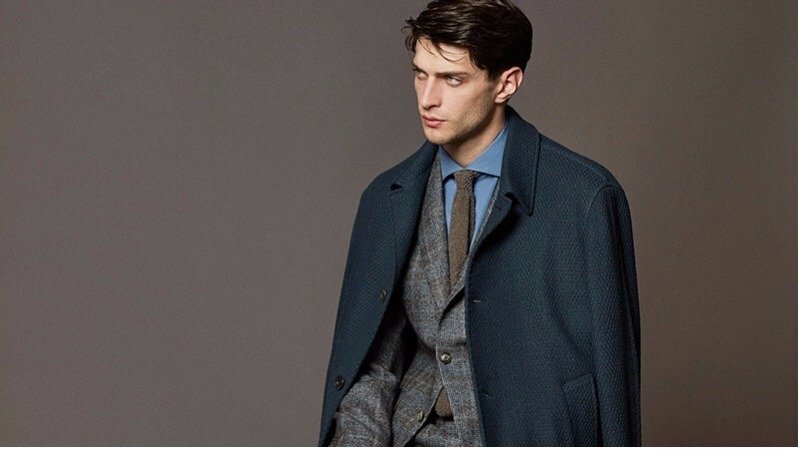 Renowned for its clean-cut, tailored silhouettes, Richard James is a quintessentially British luxury brand. Holding a place on London’s elite Savile Row, its designs respect English tailoring tradition while pushing the boundaries of contemporary innovation. Bringing together artisans from Britain and Italy, Richard James’ forte is single-breasted suit jackets. In addition to sleek construction, this leading men’s tailor has mastered the creation of suits in both neutral-hues and bright, seasonal colours. Florence is renowned as one of the world’s leading cities for high art and culture. It was in this illustrious city that Stefano Ricci’s founder was born, and consequently, his suits carry the same allure. Each piece is a work of art in terms of tailoring. Bringing Italian elegance to the forefront, these suits are for gentlemen aspiring for high-fashion elegance.